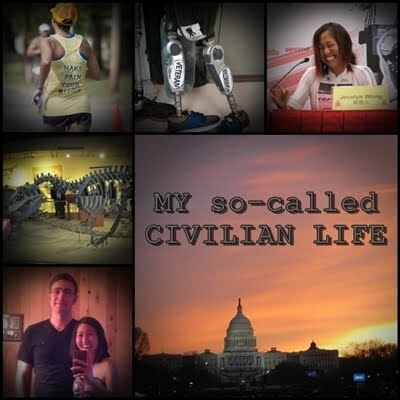 My so-called CIVILIAN LIFE: Wineglass Half Marathon Girls' Weekend race report! 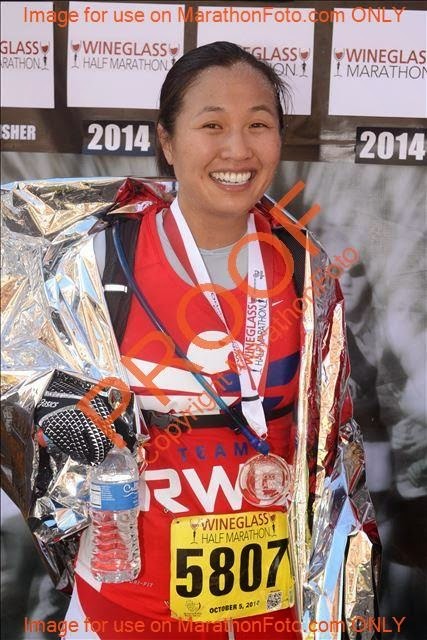 Wineglass Half Marathon Girls' Weekend race report! It's Thursday night and we are waiting for traffic to die down a bit before we drive to NORTH CAROLINA FOR BEACH2BATTLESHIP! So I'm going to try to eek out a race report quickly as race week has consisted more of drinking pumpkin beer, watching the World Series (GO GIANTS!) and only swimming for one hour (but really hard!) and testing out the racing bike set-up for 30mins. When I taper, I taper hard! 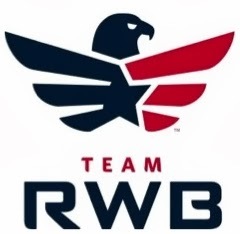 So on February 28th of this year, my soon-to-be neighbors Caitlin and Carmen talked me into signing up for the Wineglass Marathon. We would make it a girls' weekend! 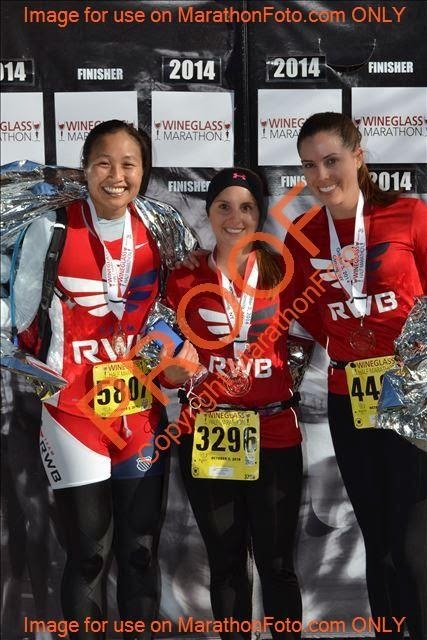 Wine tasting and running 26.2 miles! Yes! So we drove up Friday afternoon (the race was Sunday), went to the expo, and then saw Sarah Reinertsen's motivational talk and book signing! I've known Sarah for many years through the triathlon and prosthetics circuits (we met at Wildflower in 2004, holy crap 10 years ago!, right after I got accepted into prosthetics school). But I hadn't ever heard one of her speeches, and I finally got her autograph on a copy of her book! Highly recommended. 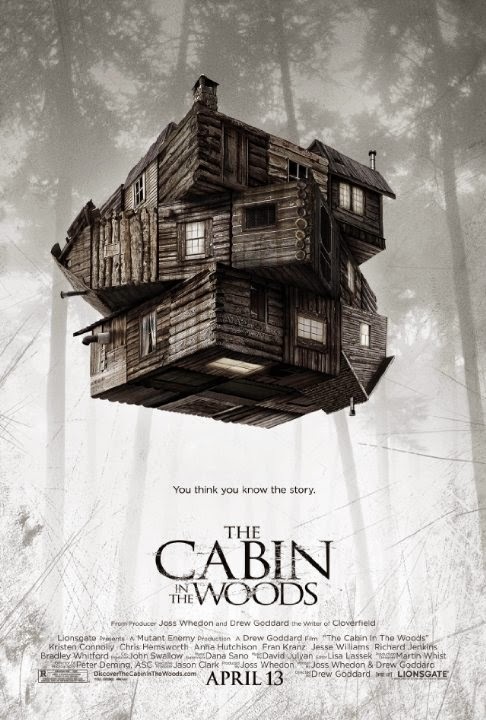 We then drove in the dark to a cabin in the woods...I was expecting a creepy cabin in the woods...Caitlin's former coworker generously let us stay there. Thanks Stu! But of course, it was very modern and gorgeous! And not creepy at all in the daytime. Sunday morning, it was super cold. Yuck. Like "32, feels like 28" according to the weather app. I really wasn't feeling it--I'm a California girl (always!) and it has not been that cold at all. I bundled up, wore gloves I bought at the expo, and never felt warm. Also, my morning poo was still on West Coast time (we had just flown back to DC Tuesday night), and we had eaten A LOT the night before! So I was uncomfortably "plugged up" (TMI! too bad!). 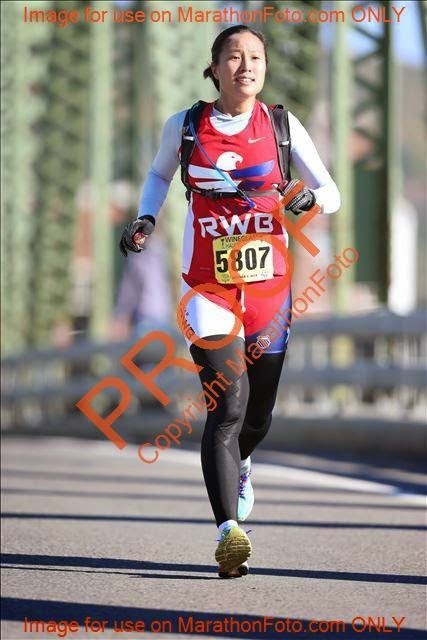 Despite being cold and constipated, I hadn't trained much in the 3 weeks after the last half marathon, and if you remember during that race, I felt amazing for 10 miles and felt my lack of training during the painful last 5k. So we were stacking up lack of training on top of lack of training. 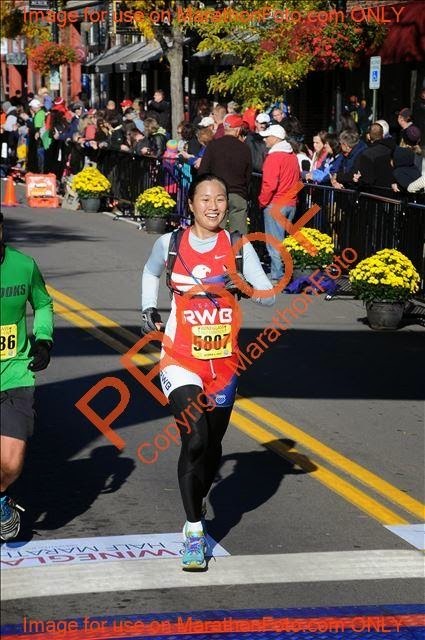 I was optimistic for a PR, albeit unrealistic, so obviously I lined up with the 1:35 pace group and we took off. My pacer guy took us through mile 1 at 7:27 (too slow!) and then mile 2 at 7:05 (ouch! too fast!). I was already struggling at this point and decided to drop back. I slowed down to the 7:50's (ew) and felt terribly disgruntled, then gave myself a good pep talk somewhere along the way and tell myself to still have a solid training run for Beach2Battleship. At least don't let the 1:40 pace group catch you! I ended up running more in the 7:30's. 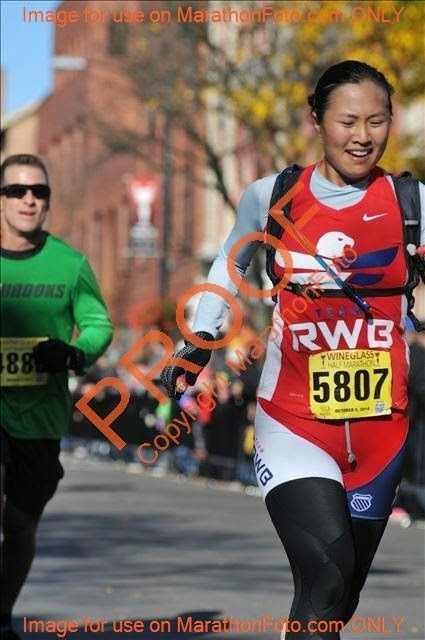 Around mile 7 or 8, an RWB guy from Syracuse caught up to me and we ran for a little while together. Mike (or was it Mark?) wasn't having the best day either, and I think his PR was 1:32 or 1:33. 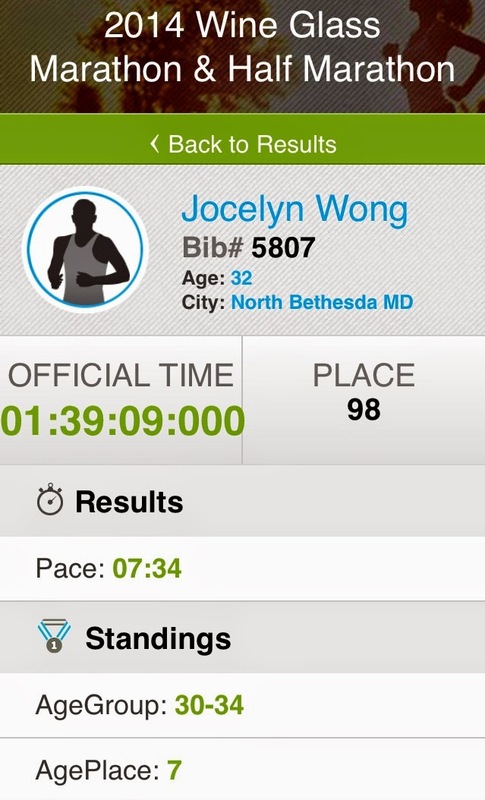 I heard the 1:40 pace group leader right behind us...aughhh...and so I ended up picking up the last 5k. Even though I ended up running a 1:39, I think my last 5k was actually faster than during my 1:36 half marathon, so that's something! Carmen and Caitlin ended up running together and Caitlin even PR'd! Awesome! All in all, a great girls' weekend with wine and running and awesome company; it doesn't get much better than that! Who is that the other side of Sarah, Kevins sister?